Arm Liposuction exclusively targets the women. Liposuction guarantees to remove small fat deposits and treat other problem areas which are unable to correct with exercise and diet plan. It does not intend to transfer an obese person into a supermodel figure. A heavy, bulky arm is a perfect symbol of masculine or obese body. On the other hand, a thinner arm offers a thinner body look. Arm liposuction aesthetically aims to provide a more attractive appearance to a woman in social events. Despite, maintaining the quality of female beauty, the disproportionate look of the arm is also improved with this procedure. The goal of liposuction does not include removal of the maximum amount of fat. Rather than a beautiful appearance, the removal of excess fat from the arms of an obese person will offer a deformed look. This procedure can also be used to eliminate droopy flap of skin hanging from a fat arm. Today, the arm liposuction is regarded as a fast, effective and painless procedure. In older liposuction techniques, an extra skin excision from inner side of the arm is required. This resulted in the formation of visible scars. Nowadays, there exist a wide variety of different techniques. In Water Assisted (WAL) technique, prior to suctioning, a cannula is used to deliver a fan of spray to break up and loosen the fat. 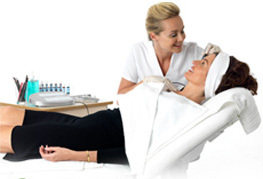 Another popular technique employed is the Ultrasonic Assisted (UAL) technique. This procedure involves the use of a cannula which helps to deliver energy sufficient to melt the fat prior to suctioning. The Power Assisted (PAL) technique is the one in which in order to break up and vacuum out the fat, a mechanized cannula that vibrates rapidly is used. Tumescent arm liposuction using microcannulas offers excellent cosmetic results and requires no skin excision. A unique ability to dissolve fat and tighten the skin, thereby providing a beautiful appearance, makes laser liposuction different from other such procedures. This technique makes use of a tiny cannula, which is inserted into the skin. A suction is used to melt, dissolve, and remove the fat lying underneath the skin. Before applying the sutures, the skin around the incision is properly tightened. This procedure involves only minimal swelling and scarring. Arm liposuction technique provides permanent results. Post-operative liposuction care is relatively a simple procedure. It requires only a moderate degree of compression for a few days. Within a few days, after surgery, a significant degree of improvement is observed in every patient. If excessive compression is applied, swelling of the hands and forearms, may occur. Uneven and excessive fat removal is the most common problem associated with arm liposuction. In rare situations, prolonged swelling or infection may occur.